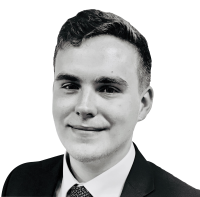 Anthony joined the team in 2018 and his position is our Sales and Lettings Negotiator. His role includes scheduling and conducting viewings, opening offers with clients and overseeing their progress in conjunction with his directors until an offer has been accepted. He is a front man of our company, meeting and greeting customers and assisting with their property transactions. Anthony has lived in Tunbridge Wells his whole life and he knows the area extremely well. He attended Tunbridge Wells Grammar School for Boys and previously worked in hospitality for two well-known high-end Hotels in Tunbridge Wells. He has excellent customer service skills and is always willing to go the extra mile. When not at work, Anthony likes to go to the gym, and spend time with friends. He is also a big car fanatic, so he can often be found doing something car related in his spare time.